We have all assembled here for these two days to understand what Dhamma, or Dharma, is and how to apply it in life. Dharma is a healthy, harmonious, wholesome way of life. It is a life of morality, of ethics. Dharma is an art of living: how to live peacefully and harmoniously within, and how to generate peace and harmony in the surrounding atmosphere, so that others can also live in peace and harmony. It is a way of life in which one does not perform any action, physical or vocal, to harm or hurt other beings. One abstains from killing because by killing one harms others and disturbs the peace of society. One abstains from stealing. One abstains from sexual misconduct. One abstains from lying, from using harsh words, from backbiting or slander, and from useless or meaningless talk that wastes one’s own time and the time of others. To abstain from all these improper, immoral activities, one also has to abstain from taking intoxicants. Once you start taking intoxicants, you become a slave to them. In a state of intoxication you keep on performing unwholesome actions in spite of understanding fully well at the intellectual level that you should not do so. Therefore one should abstain from all intoxicants. At the apparent level, by living such a moral life without harming anybody, you are creating peace and harmony in society. Accordingly, you might feel that you are acting in this way to oblige others. But this is not correct. The fact is that when you abstain from performing unwholesome physical and vocal actions, you benefit yourself. Dharma will help you understand why and how this is so, because Dharma is the universal law of nature applicable to everyone. You can understand this law not by attending seminars such as this, or by playing intellectual games, or by accepting something at the devotional or emotional level, but by realising the truth within yourself. Once you start investigating the truth within yourself, the law of nature will be revealed. Because of your intellectual understanding or because of your devotion to the teaching of the Enlightened One, you may remind yourself that you should not harm others. But when you go deep inside, you understand by experience that when you abstain from harming others, you actually abstain from harming yourself. You cannot hurt or harm anyone unless you have first harmed yourself. You cannot kill anyone unless you have first killed the peace and harmony within you. You cannot kill anybody without generating a tremendous amount of anger, hatred, ill will, and animosity. When you generate such negativity you are the first victim because you become so miserable. You cannot really understand this until you start observing the interaction of mind and matter within yourself, within the framework of this body. When you generate any negativity in the mind, it influences the body (matter), and there is bound to be an unpleasant physical sensation. That unpleasant sensation will again influence the negativity in your mind. When you generate more negativity, there will be more unpleasant sensations in the body; and with more unpleasant sensation in the body, there will be more negativity. A vicious circle starts of which you are a victim, and the result is great misery. As the Buddha said, Pubbe hanati att±na½, pacch± hanati so pare [before killing another, one kills oneself]. Do not accept these words because they have been said by an enlightened person, or by your teacher; this will not help you at all. When you start realising the truth of the interaction of mind and matter inside yourself, it will become so clear. You will recognise that you have started harming yourself before harming someone else. And no-one wishes to do that. If unintentionally you place your hand in a burning fire, it hurts you. After repeating the same mistake a few times, you will stop doing it because you know it hurts. In the same way, if you start experiencing the truth inside¾ the truth which is to be accepted not merely intellectually or emotionally or devotionally, but at the actual level¾ you realise that you become miserable when you generate anger, passion, or egotism. If you keep realising this repeatedly, you will start abstaining from that type of action because you know it is not good for you. We do not want to harm ourselves, but we keep doing so out of ignorance because we do not know the truth within. The truth outside is an apparent truth; it is only one dimension of the truth. You may think that you are unhappy because of things outside¾ because of other people who are behaving wrongly, or because of an unpleasant external situation. This is all apparent truth¾ in other words, truth seen from only one angle or in only one dimension. It is not the whole truth, but only a partial truth¾ and partial truth is a distorted truth, far away from the actual truth. When you see the truth from different angles, you start understanding the totality of the truth. And when you do, every decision you make will be a healthy decision; it will be good for you and for others. If somebody has abused, insulted or misbehaved towards you, you become miserable. You may think you are miserable because of the abuse, insults or misbehaviour of that other person. At the apparent level this is true, but not at the deepest level. We can understand this if we start realising the truth of the interaction of mind and matter, the influence of one over the other¾ if we divide, dissect, disintegrate, dissolve, like scientists or research scholars. As we do so, we shall see a process happening inside. Someone has spoken abuse; certain words have reached the ears; and immediately one part of the mind will simply cognise the sound. Next a second part of the mind recognises the sound on the basis of memory and past experience: "Words. What words? Oh, words of abuse." This same part of the mind then gives a valuation: "Words of abuse—that is very bad." Then the third part of the mind starts working¾ the part that feels sensations or vibrations. Sound is mere vibration, and as soon as the abusive words reached the ear they created vibrations throughout the body. However, the entire physical and mental structure itself is simply a mass of vibrations. As the Buddha said, Sabbo pajjalito loko, sabbo loko pakampito, pakampito [the entire universe is nothing but combustion and vibration]. The words that came are nothing but vibration. And when they contact the mental-physical structure, which is a mass of vibration, a new vibration starts. It is as if you strike a gong at a particular point and the entire gong starts vibrating. If a sound comes into contact with the ear, the entire structure of body and mind starts vibrating with a neutral vibration. When the second part of the mind gives its valuation saying "This is abuse—it is bad", immediately the originally neutral vibration becomes very unpleasant. And the feeling part of the mind feels that unpleasant sensation. Then immediately, the fourth part of the mind starts working, and its job is to react: "Very unpleasant. I don’t like it. Stop it. I don’t like it." It has reacted with aversion and hatred. Every time you generate aversion, hatred, ill will or animosity, you are miserable. You lose the balance of your mind; you lose the peace of your mind. This is the law. This is the truth. This is Dharma. It is not Buddhist, Hindu, Jain, Muslim, Christian, Parsi, or Sikh dharma. It is simply Dharma. The moment you make it the exclusive property of a particular sect, Dharma is no longer Dharma. It has become sectarian and is harmful. You must understand that Dharma is universal. Dharma cannot be Buddhist, Hindu, Muslim or Christian. It is the law of nature. For example, we say that the nature of fire is to burn. This is the dharma of fire. If it does not burn, it can’t be fire. If it is fire it must burn. When fire burns, do you label the burning as Hindu, Muslim, Buddhist or Jain burning, or as Indian, European, American or Russian burning? Burning is burning. This is a law of nature. In the same way, when one generates any negativity or defilement in the mind, one is bound to burn. The nature of defilement is to burn. No-one can save you from burning when you generate anger. You may keep on calling yourself a Hindu, Buddhist, Christian, Muslim, Jain or Sikh—it makes no difference; or a br±hmin or a œ³dra—it makes no difference. This is the law; this is nature; this is Dharma. We have forgotten Dharma. Someone belongs to a certain sect and performs its rites or rituals, or professes its beliefs; he feels that makes him very Dharmic. Someone else belongs to another sect and performs its rites, rituals and ceremonies, or believes in its philosophy. He too thinks that makes him a very Dharmic person. But both deceive themselves. Dharma has nothing to do with such matters. They are sectarian, and Dharma is universal. Whether or not we perform this rite or that ritual, if we keep the mind free of negativities it is pure. And according to the law of nature, when the mind is free from defilements it naturally fills with metta (love), karuna (compassion), mudita (sympathetic joy), and upekkha (equanimity); and immediately one starts enjoying peace and harmony. Rites and rituals, philosophies and dogmas have nothing to do with it. We have forgotten the truth of Dharma deep inside¾ this universal law of nature makes no discrimination. Anyone who places a hand in burning fire is bound to burn oneself. It makes no difference what religion one belongs to, what rites or rituals one performs, or what philosophy one believes in. How can we understand this law? By listening to these discourses, we may intellectualise Dharma saying that this appears logical, rational and scientific. We may say that it should be applied in life, that we should not generate negativity because if we do we are bound to become miserable. But the wisdom of mere Dharma assemblies dissipates the moment you leave. If these assemblies worked, India would be the most Dharmic country in the world; instead it is the biggest victim of sectarianism. No-one is interested in understanding Dharma at the experiential level, in realising it. Unless you do so, all these sermons are not going to help. I know from my own experience that they did not help me. I was born in a family full of so-called Dharmic atmosphere, but nobody understood real Dharma. We knew no way to realise Dharma within. Fortunately I had a second birth. The first was my physical emergence from the womb of my mother. But the second was my emergence from the shell of ignorance, thanks to my teacher, Sayagyi U Ba Khin. With his guidance I started experiencing the truth inside. When you generate any impurity in the mind, you are punished at once. If you break the law of a country or state, you might manage to escape punishment or delay it for years. But under the law of nature you cannot avoid the punishment or postpone it. Nature does not wait till you die. When you break the law you are punished that very moment. When you generate negativity in the mind, nature starts punishing you without delay. If you do not break the law, if you live according to the law of nature and keep your mind pure, if you generate compassion and goodwill, then nature rewards you here and now. It will not wait until you die. You start experiencing peace and harmony here and now. When one starts realising this law of nature at the experiential level, one starts taking steps on the path of Dharma; one starts attaining Dharma, experiencing Dharma, and receiving the best, sweetest fruits of Dharma in this very life. But first one has to liberate Dharma from the shackles and chains of different sects. Every sect will take you far away from Dharma. When you start realising the truth of Dharma, you cannot remain sectarian. You cannot differentiate between this or that person, this or that being. The law is applicable everywhere, to everyone. If I am really a Dharmic person, when somebody abuses me I understand that this is a miserable, sick person: "This person has generated anger and hatred, and is therefore very miserable. What should I generate in return? I cannot throw more petrol on this person who is burning in the fire of anger and hatred; instead I will generate love, compassion, goodwill. This is a sick person; why should I allow myself to succumb to the same sickness? Why generate anger towards this person?" This is easy to understand and accept at the intellectual level; but at the real level, when someone abuses you, you start abusing that person in retaliation. This happens when you try to understand Dharma only intellectually rather than experientially. 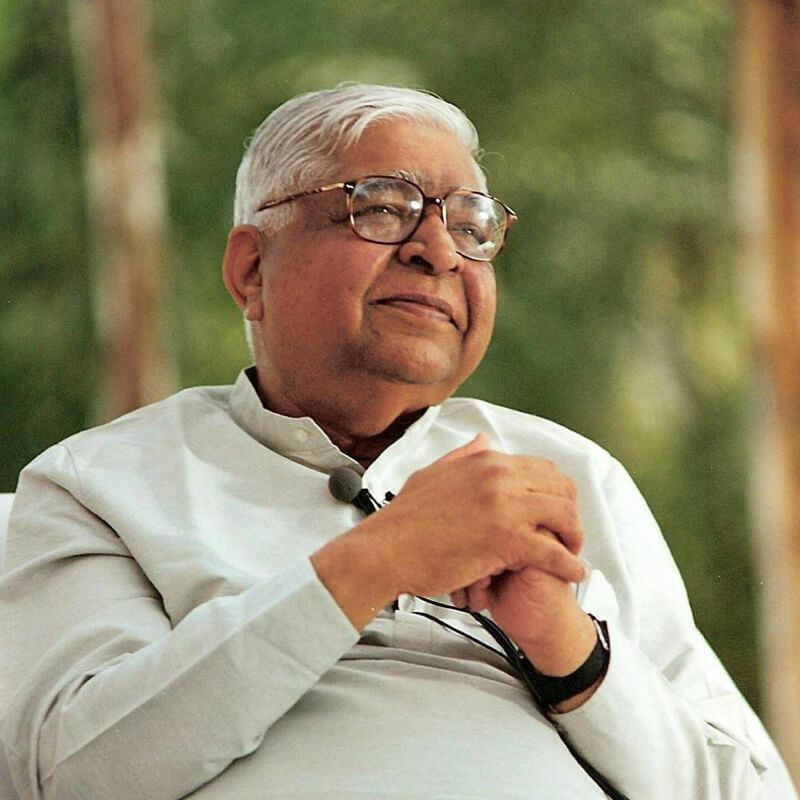 Vipassana is not limited to a particular sect, community or caste. The law of nature is for everybody; and one starts realising this law by experiencing what happens inside. Just as you have hospitals and schools, you also have meditation centres like this one, where people start realising and experiencing the truth of the law within themselves. They start living a better life, a proper life without harming others—which also means without harming themselves; and so they enjoy peace and harmony. They also diffuse these pure vibrations into the surrounding atmosphere, and whoever comes into contact with them lives a life of peace and harmony as well. This is Dharma. I would very much like those of you who have taken courses in Dharma to explore the truth inside at a deeper level. You have started scratching the reality inside only at the surface. The deeper you go, the more you will understand reality at the very subtle level, and the more your mind will be purified. Naturally, a time will come when it always remains pure, full of love and compassion. That cannot happen unless you go deep inside and start the process of purification. And you must do this yourself. Accordingly I would recommend to those who have taken such courses that they go much deeper. A ten-day course is simply a beginning, to acquire an outline of what Dharma is. 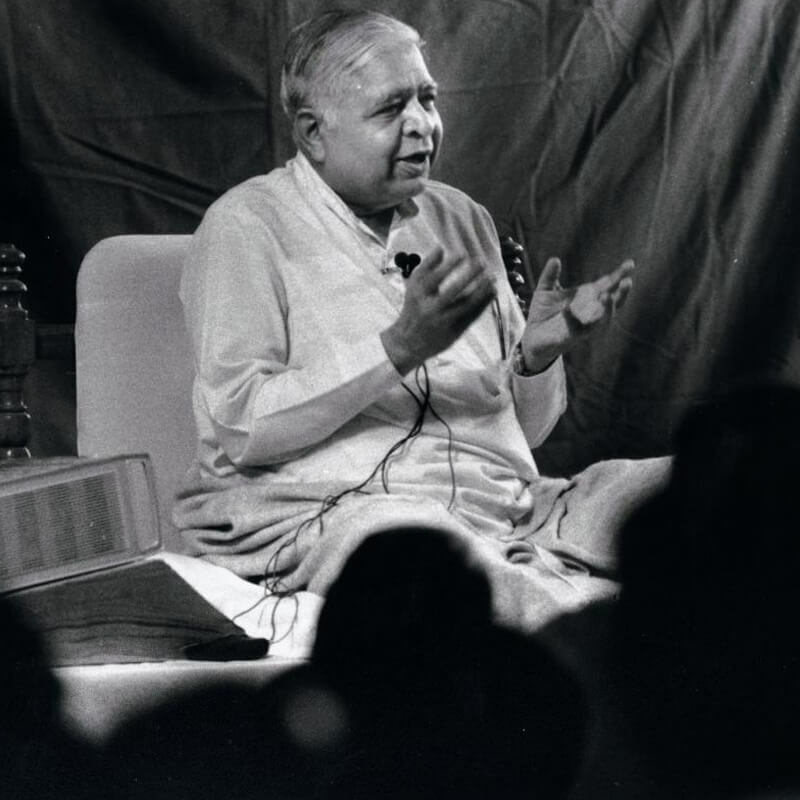 You have to take courses of twenty days, one month, one and a half months, and maybe later on of three months, so that you can really understand Dharma. Advance to the university level; don’t remain in the kindergarten. And those who have not yet entered the kindergarten, I would request them to do so and see what the truth is—the truth of the saints, sages, wise people, enlightened ones of this country. Do not make Dharma a merely intellectual, emotional or devotional entertainment. Let it be an actual experience, for your own good, benefit, peace and harmony. I am recommending this because I have passed through a life without Dharma, and yet felt myself to be a very Dharmic person. I gave thousands or tens of thousands in donations; and I would proudly say that, because I was a very generous donor, or I was the president of one or another temple, I must really be a Dharmic person. But I did not have a trace of Dharma, of peace and harmony. 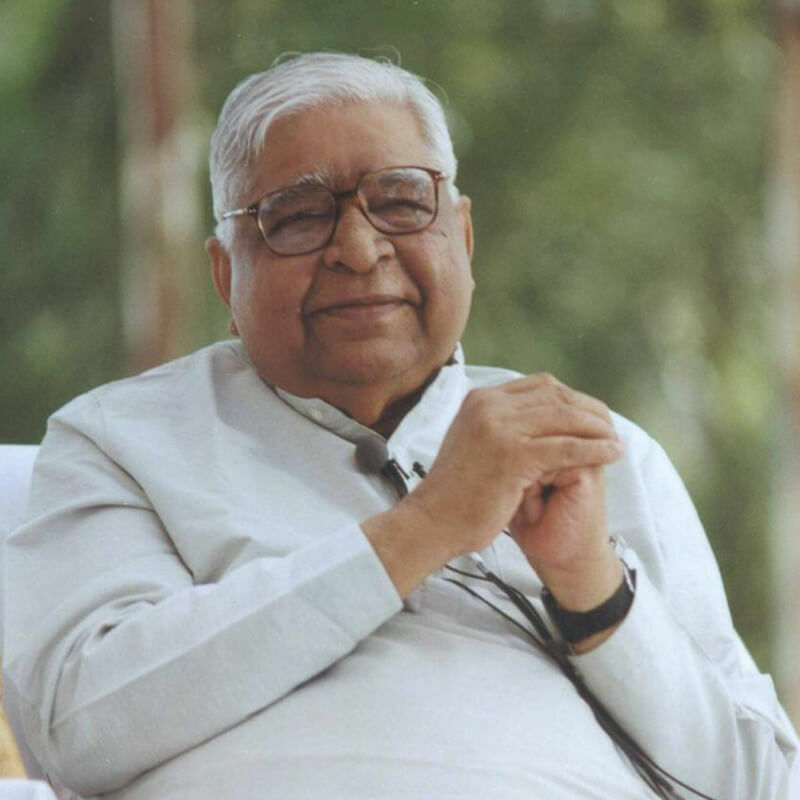 When I took the first step to experience the Dhamma, my entire outlook changed: I started feeling peace and harmony within and realised what a Dharmic person truly is. Having experienced both situations, I am recommending that you spare ten days. You will not be wasting them; you will find that these were the best ten days of your life. And once you find the path keep walking step by step, and reach the final goal of full liberation from the bondages of impurities and negativities, which make you miserable, so that you can enjoy real peace, real harmony, real happiness.